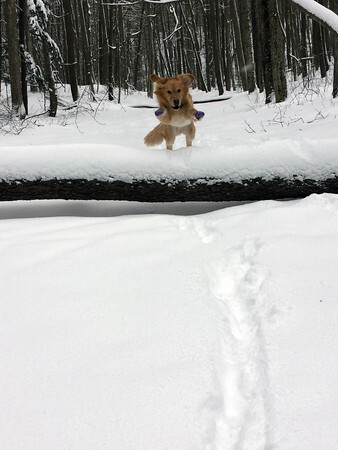 Newman the 6-year-old golden retriever bounds through the fresh snow at Sleeping Bear Dunes National Park. He is wearing new snow boots for the first time to protect his feet from snow and cold. The boots stayed on to his humans' surprise. Photo by Scott Gravelie.